Saunders® is proud to share its excitement in making 2018 a year to reflect on its successes that started with P.K. Saunders’s (company founder’s) 1928 invention of the first diaphragm valve, and the subsequent establishment of the company in 1933. A historically interesting artefact depicts a hand-drawn image of London’s skyline from eighty-five or so years ago, juxtaposing the bonnet-shaped upper casing of a Saunders® valve with the distinctive cupola of St. Paul’s Cathedral. It is not known whether P.K. Saunders got his inspiration for his valve design after having observed the cathedral’s dome, but the original bonnet-topped valve design launched a new class of valves and prompted many iterations and imitations. Since the invention of the original diaphragm valve in 1928, Saunders® has led the way in providing class-leading fluid handling solutions for a wide range of critical applications in diverse industries. 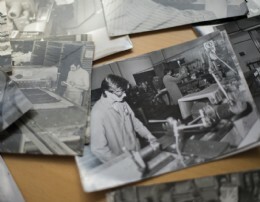 The invention and incorporation events were appropriately followed by expanding the Saunders® team, and in 1936 the company held its first Sales Conference. 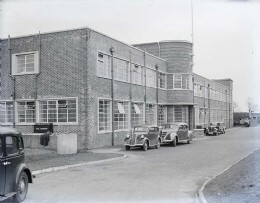 In 1939, Saunders® moved to Cwmbran, UK. This was succeeded by the invention of its ball valve for use in Britain’s aircraft industry. Following its impressive growth over several decades, Saunders® was acquired by Gallagher Tobacco Company in 1971.
International expansion started in 1975 in Houston Texas, and in 1982 the company set up its Australia location in order to serve the expanding Australasian market. Alfa Laval bought the company in 1987, and Saunders® established operations in Germany (as Saunders Armaturen GmbH, in 1988), and in India (as Saunders Valve India, in 1991). In 2001, Crane Co. acquired Saunders® and has continued its progress and success story, leading up to 2018 with its 85th anniversary commemoration. The maxim Saunders® uses to highlight the technical quality in its valve design is “The Science Inside™”, intended to denote its engineering excellence as a differentiating feature of Saunders® valves. This year, the company plans to introduce a series of initiatives and promotions to be announced at strategic intervals, specifying for its customers the advantages the Saunders® brand of valves will contribute to the safety and efficiency of their operations. The Saunders® brand remains emblematic of security, reliability and trouble-free operation in meeting the challenge of corrosive and abrasive industrial processing applications. Among its valves’ many desirable features are essentials such as providing Zero Dead Leg, intelligent sensing aseptic solutions for the Life Science industry, and simplicity in design, and compliance with relevant global standards, among others. Saunders® diaphragm valve technology derives from over eighty years of avant-garde innovation, enabling valves to handle a wider range of fluids than other valve types. 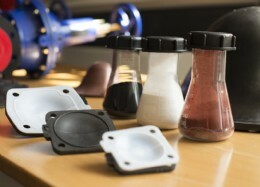 Saunders® develops and manufactures its own polymer compounds to ensure top quality for its diaphragms. Saunders® prides itself on reliable aftersales service and technical support available worldwide via its locally based sales associates and distribution partners.